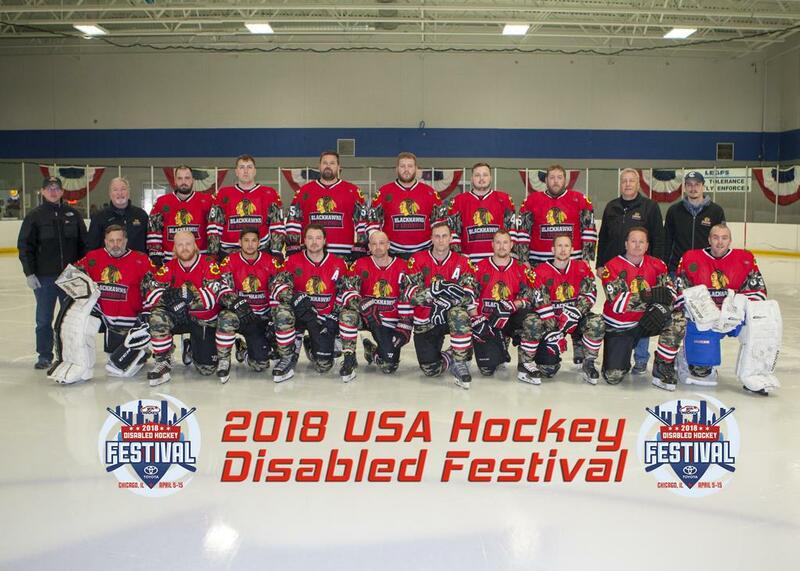 The Chicago Blackhawks Warriors ice hockey program was founded in 2015 in conjunction with USA Disabled Hockey to give our injured military members and veterans the opportunity to play hockey in an environment suited to their needs. 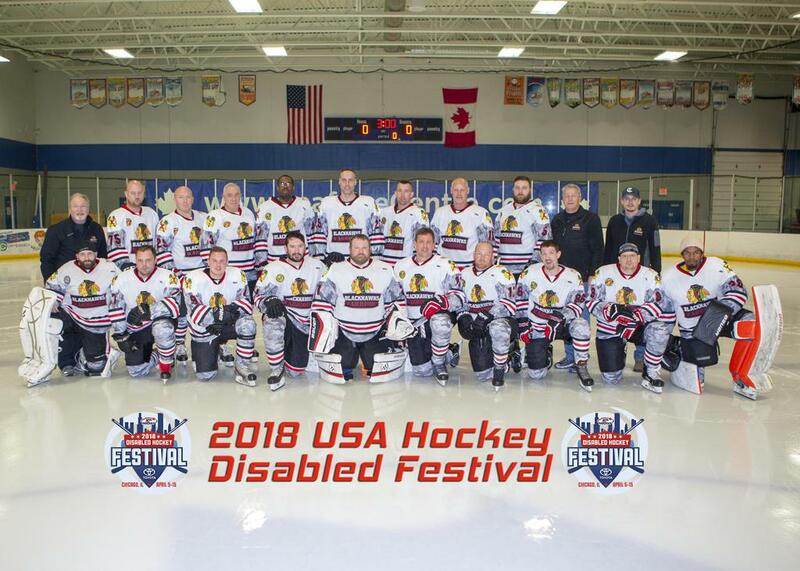 The program trains them in the skills needed to use hockey as a rehabilitation tool to overcome physical and mental disabilities sustained in their service to our nation. We are a nonprofit 501 C3 organization. 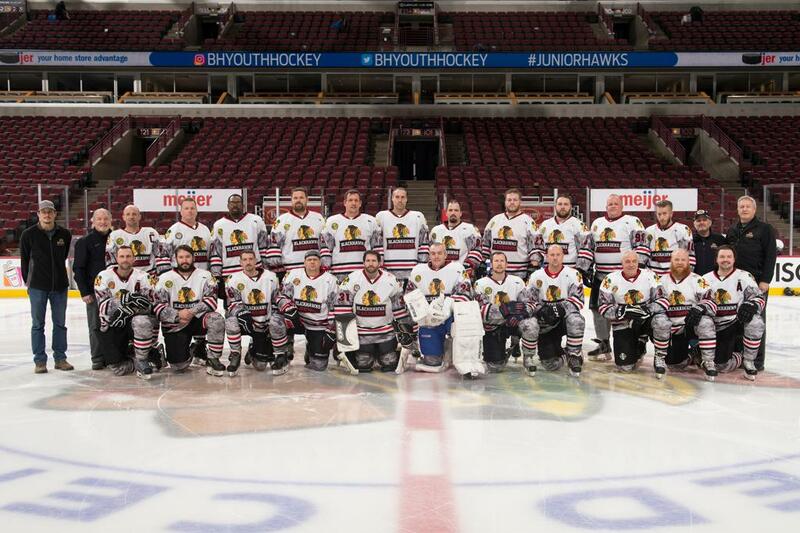 We depend on fundraising and charitable donations to fund our players and team. In addition to ice time, out of town games and tournaments add travel costs, meals and lodging. To offset these expenses, we seek donations from private individuals and corporate donors. 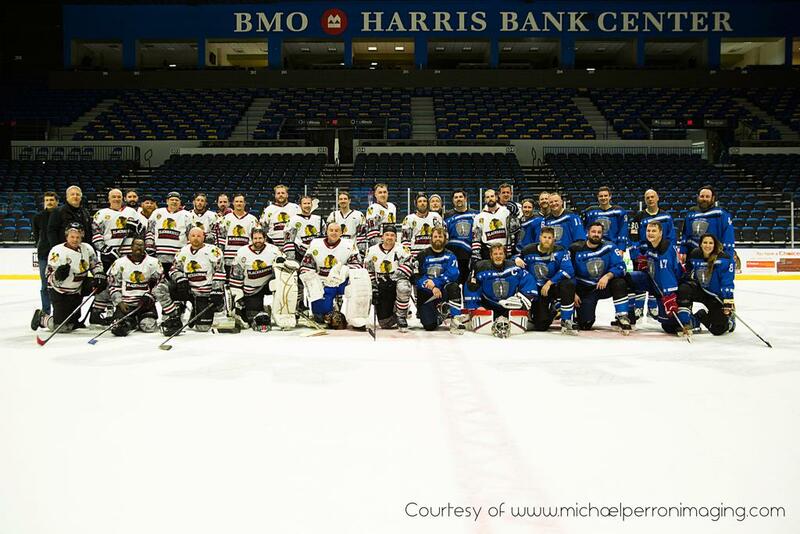 We also play fundraising games against other teams and organizations as away to raise money for our team. If your organization is interested in playing a fundraiser game, please contact any of our team representatives. Follow us on Instagram, Twitter and our Facebook page to keep up to date with the team! 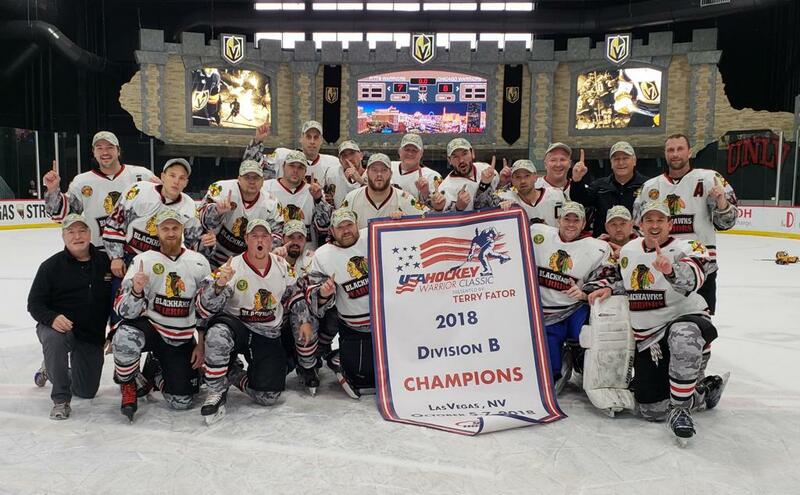 ©2019 Chicago Blackhawks Warriors / SportsEngine. All Rights Reserved.